A stunning, open plan Balinese getaway! The Water Cottage at The Elements is ideal for romantic and cosy getaways. The studio style property features a living, dining and kitchen space with a king bedroom. Together with the sofa bed 4 people can comfortably sleep here. 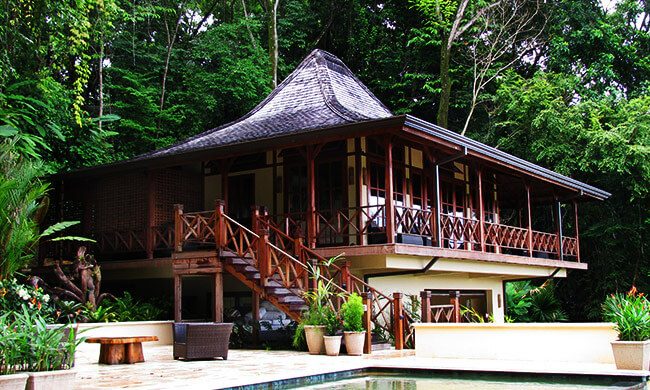 The cottage has a fully equipped cottage and wrap-around balconies looking down onto the infinity pool. There is a full concierge service, housekeeping as well as A/C and a 42 inch HD TV and high speed wireless internet. Conveniently located on the stunning but less touristy Southern central Pacific coast and with easy access to Dominical, the Water Cottage provides a fantastic and luxurious case from which to enjoy the many sites and activities found in this part of Costa Rica.